Photograph of a GB Railfreight GBRf Class 66 66712 at Pelaw with 6H90 Port of Tyne - Drax power station imported coal train. The train is made up of Romanian built high capacity HYA wagons and contains over 1,500 tons of imported coal. 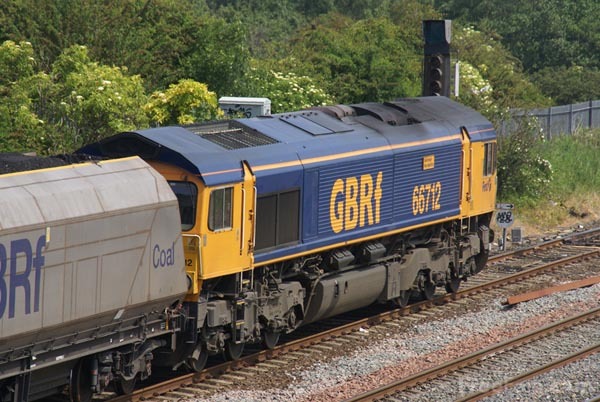 GBRfs wagons are able to move anywhere on Britains rail system thanks to their low track force wheelsets. VIEW: More images from the category GB Railfreight GBRf or taken at the same location or around the same time .